Saying that our country is obsessed with rugby and the Rugby World Cup is a massive understatement. We are all emotionally, spiritually even, invested in this game, this team, this tournament. Present company included. And it has been a helluva roller coaster ride: the lofty highs of victory against Aussie (the neighbour we love to hate); to the slings and arrows of outrageous fortune (read: Dan and Colin's dodgy groins). We have all been watching at the edge of our seats. If you're overseas and haven't been following the saga, in a nutshell: the All Blacks (best rugby team in the world) have been favourites to win this tournament pretty much every time it's been on for the last 24 years but somehow we always get knocked out just before or at the final. Then seeing as we are hosting the RWC, everyone's hopes and dreams were that this year was was going to be The Year. And boy, were we playing well. Well, until our star player, champion playmaker: Dan Carter (often described as the best rubgy player in the world), who holds a key position (first five eight), tore a tendon and was out of the tournament just before the knock out stages. The nation was devastated. But wait there's more, the drama continued when his replacement, Colin Slade, also succumbed to a groin injury. 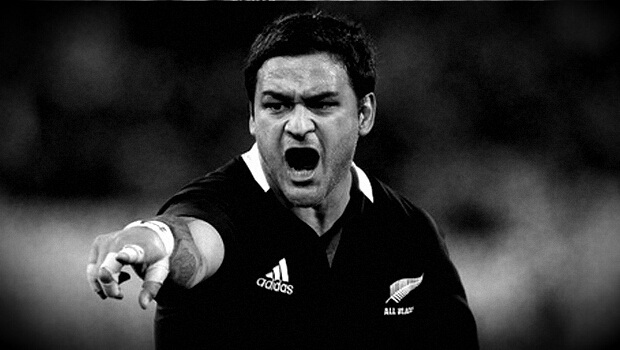 Piri Weepu, a 54 cap veteran not even selected in the last RWC squad, came out of the shadows and with those magic boots of his, kicked our way to victory against Argentina in the quarters and Australia in the semis. 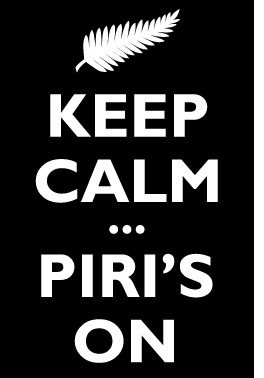 In Piri we trust. It doesn't get more exciting than that. They really should make it into a movie. It is hard to contain my excitement. Aaaaaaaahhhh! *flaps arms around* I've learnt the names, the positions, the rules. I've baked the macarons. I even have my All Blacks flag, black face paint, AND a fan cape. So no recipe today (sorry) but just a whole lotta love for our boys in black. You can doo iiiiiiit! paula @ pod and 3 peas: me too! I was a nervous wreck the whole game!!! What a result though. It only takes one point!!! BOOM!